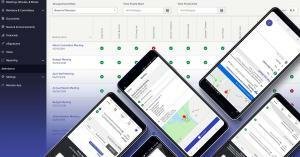 PITTSBURGH, PA, USA, December 6, 2018 /EINPresswire.com/ -- BoardBookit, a leading provider of board governance solutions, has expanded their reporting functionality with attendance tracking. This new feature is phase one of BoardBookit’s plan to further enhance the functionality of their exclusive reporting features. Attendance allows administrators to take attendance, view attendance records, and report group attendance on any device in the secure BoardBookit board portal platform.